Lyrics in post title from Bob Dylan's song titled "Mississippi," released on September 11, 2001. I can't even imagine the horror. just having half my home flooded with 18" of water was numbing enough. I've seen other pictures of just how dark and ominous the sky looks from all the smoke. I'll say. It's all a horror. 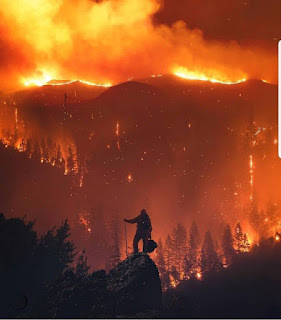 My heart is breaking for California. What a powerful and terrifying photograph. United Farm Workers / "Your vote is your voice"